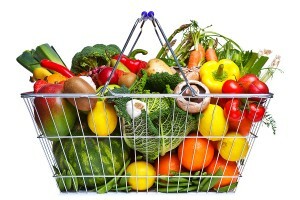 Do you share the common belief that eating healthy is costly? If you do, you may be surprised to know that it is not. By eating healthy, you can—in reality—save some bucks while improving your health. Although choices are available when dinning out, like portion size, menu choice, and price, opting to eat at home is not only a money-saving strategy but also healthy. Did you know that our stomachs are maxed-out with two handfuls of food? Think about that the next time you gorge yourself at a Swedish buffet. To prevent undigested food from sitting idle in our intestines, we should only eat when hungry and stop when satisfied. If we use the hunger scale 0-8, where 0 represents “total hunger” and 8 represents “completely stuffed,” you should begin your meal somewhere at level 3 and stop at level 6. 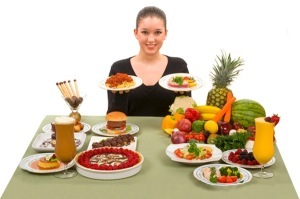 Eat three meals a day and nix the snacking bit (snack only if you need to; like if you’re diabetic or work long hours). If you snack out of habit, break it or replace it. Think fruit: you’ll save cash and add fiber and vitamins to your insides. Try adding the monthly cost of snacking, it’ll blow your mind. I’m sure you can find better use of that money. 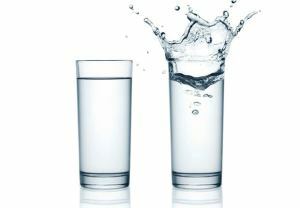 Between meals, 60 minutes after and 60 minutes before, drink warm water in short intervals. Doing this throughout the day keeps you hydrated and guarantees not to dilute and breakdown gastric acids. 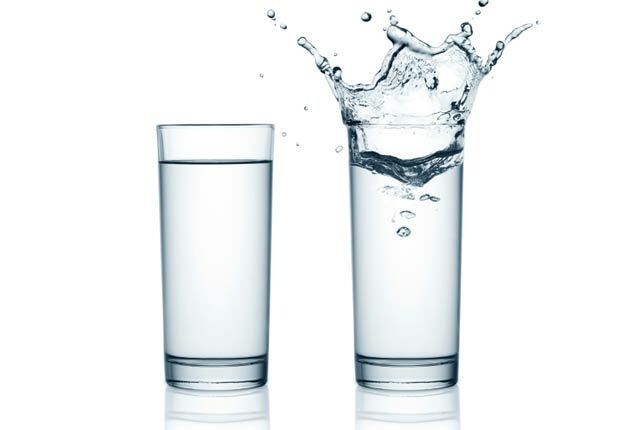 Warm water does wonders for your digestive system—it helps your metabolism maintain “normal” status. Also, reduce coffee intake to one cup a day. The same goes for black tea. These drinks actually force water out of the body and act like oxidants, thus increasing acidity. So, replace those useless sodas and juices with water, and hydrate your precious body and save your hard-earned bucks. Buy simple, un-processed, un-canned, and un-packaged products. All pre-cooked and prepared foods contain too many preservatives and are packed in plastic, which is not the best material to store food in. 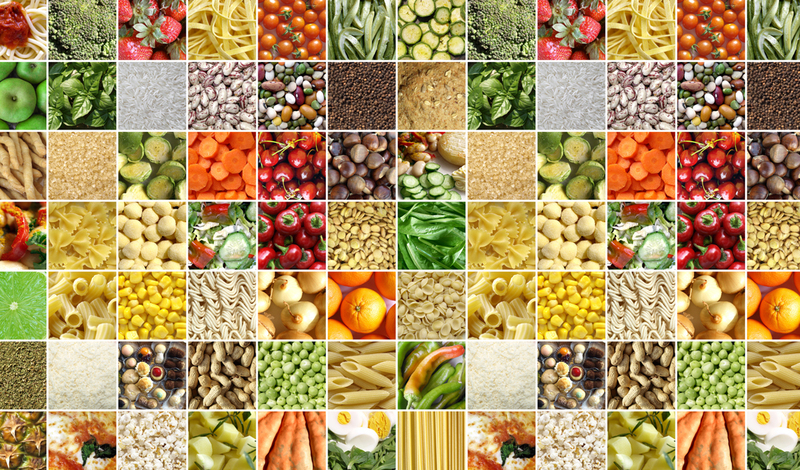 Instead, go with dried beans and grains…and don’t forget raw fruits, vegetables and berries. The health benefit here is that you know exactly what you’re putting into your body. “You are what you eat,” so wouldn’t you rather be a healthy green bean instead of an artificial preservative? Food preservatives are designed to enhance taste and color, as well as increase product shelf-life. So logically, over a long period, these artificial preservatives accumulate and adversely affect our health. That’s a fact! Also, and this is a no-brainer, the same amount of fresh dried beans, for example, costs less than one can. So, go simple and organic. Your health will benefit and once again, you’ll save money. Our bodies, like fruits and vegetables, adapt to seasonal changes. So, when fruits and vegetables are in season, this is the best time to consume them. In season, they contain more essential vitamins and fiber than out-of-season, and taste better. They are also cheaper to buy “in season”. Good quality meat is pricey—we know that. 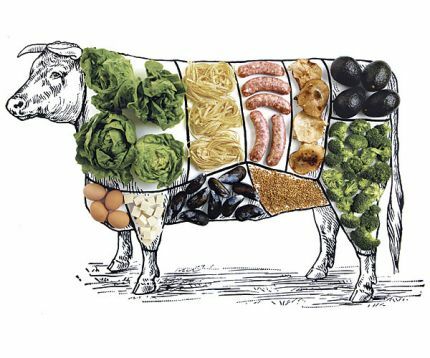 So, if you’re not a vegetarian, go with the good stuff. It contains much less fat. Otherwise, eat less meat, poultry and fish. 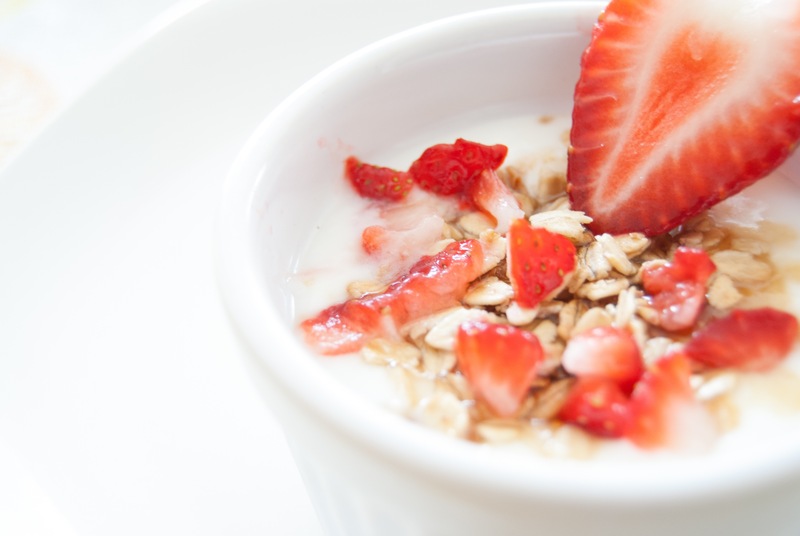 This will give your digestive system a break (meat takes time and energy to digest). Your wallet will take less of a hit as well. If you need a protein alternative, switch to beans, lentils, and quinoa…and eat them during lunchtime. This is when your digestive system works best. During the evening, your digestive wants to rest and is not prepared to take-on heavy meals. One clear advantage of cooking at home is having “leftovers.” You know what’s going in your body. And use a food thermos to keep it warm. Microwaves ruin taste and quality (save electricity tooJ). Eating out, on the other hand, has one positive and two negative sides. The positive: you don’t have to think about preparing lunch or dinner. But, there are two drawbacks: eating out is expensive AND you never know what really goes into the meal as its being prepared. Tips of healthy and simple recipes. Conventional farming uses a lot of fertilizers to protect against insects, molds and other crop-damaging parasites. They are also used to create the illusion of ripeness. But, buying products from organic farms, you eliminate ingesting harmful chemicals that tend to accumulate in the fruits and vegetables. The more organic you buy, the more you encourage organic farming. It’s better to pay slightly higher prices now, then to pay huge medical bills later. Preparing meals in advance and storing them is a process that lessens their quality and flavor. 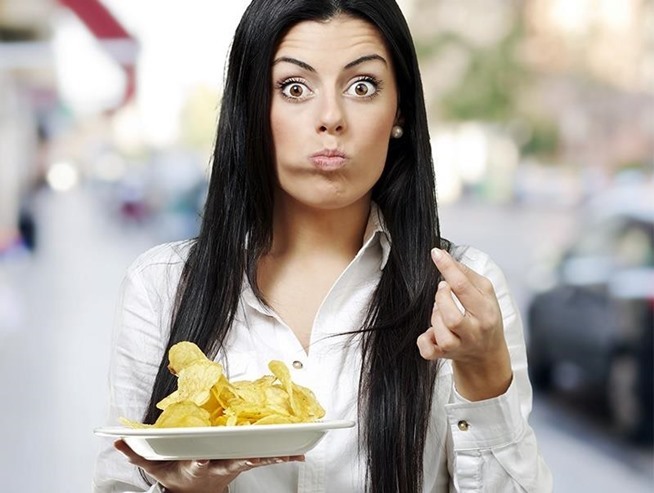 Cold food tends to digest faster than it should, and the stomach just “throws it out” into the intestines before fully digested, thus making it unavailable to be absorbed. This creates bloating, indigestion, and in the long term, more chronic diseases. The healthy habit of eating fresh and warm may require planning, but it’s worth it, as our bodies, being responsive to good changes, will quickly show signs. There are no direct savings to mention here, but in my next point (planning), there is. Planning is a good habit, especially when planning meals. Taking one evening to plan weekly meals will ultimately help you avoid overeating, snacking, and spontaneous spending on food (there’s the savings I was looking for). Tips how to organise a grocery list. Consider these alternatives: swap-out white sugar for unprocessed cane sugar, agave syrup or maple syrup; white flour for whole grain flour, rye flour, buckwheat flour, or coconut flour; processed grains for unprocessed fiber-rich alternatives. Avoid all processed fats and their combinations. Stay away from processed food and highly pasteurized, refined products…and also ready-made products that contain five or more ingredients that you have no knowledge of. Use virgin oils on salads…and coconut butter and ghee for cooking. Eat dairy with natural fat content – all low-fat versions contain unnecessary additives, such as thickeners and taste improvers. Eliminate all carbonated drinks, especially the cold ones. Finally, try to avoid yeast and yellow, hard cheese. They create unwanted side effects. You see, eating healthy does in fact help save money, and it’s obviously the best way to live life. By reducing our intake and buying organic products, we complement our bodies, environment, planet and future generations. Once decided to eat healthy, it is very important to follow the new strategy and remind yourself about your new way. 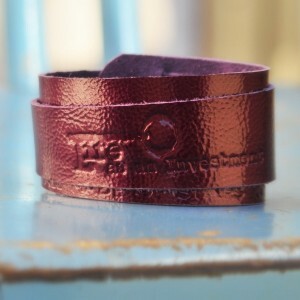 Our amazing wristbands are a trendy fashion accessory and a great reminder that now you live your life as an investment! You can buy them here – good luck on your new way! Ksenia's engineering backround matches well with her big interest in healthy lifestile. Apart from her job as a researcher she has followed her passion and became Ayurvedic Health Consultant with a degree form Scandinavian Ayurvedic Academy. Combining ancient life wisdom into modern life style is a challenge that she is successfully applying and proving that our health is in our habits. Great tips, and with systematic application they work wonders! I hope you enjoy reading our articles! Next PostSocial Network – an investment or a procrastination trap?